My research focuses on inference for models of the spatio-temporal evolution of states that incorporate known physical and biological laws. An associated methodological challenge is that the discrepancy between the model and the data can only be written approximately or is only available via simulation. I am interested in relating error models for numerical methods to probability models of uncertainty, and particularly in characterizing discretization uncertainty associated with finite-dimensional representations of the solution of differential equations from a Bayesian perspective. Applications I have considered range from inference on the introduction and spread dynamics of invasive species to models of epidemics of multiple interacting pathogens. 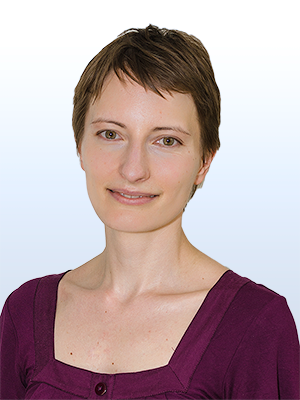 Oksana Chkrebtii joined the statistics faculty in 2014. She is a member of the Biostatistics faculty and participates in the STATMOS network of statistical researchers working on problems and applications in atmospheric and ocean science.